Giovanni Soldini’s Maserati Multi 70 and Peter Cunningham’s MOD 70 PowerPlay have pulled the trigger, launching into the trade winds during the third night at sea in the RORC Transatlantic Race. It will be a wet and wild ride on board as both trimarans have been recording boat speeds of over 30 knots. Maserati has maintained a course on starboard tack allowing the Italian team to use their foil (the starboard rudder is conventional due to damage before the start). PowerPlay have been soaking west, attaining a lower average speed, but sailing 57 miles less than Maserati to place just three miles astern. In the IRC fleet, racing for the overall win for the RORC Transatlantic Race Trophy, Franco Niggeler’s Swiss Cookson 50 Kuka3 was estimated to be in pole position. My Song was second and Trevor Middleton’s British Sun Fast 3600 Black Sheep, skippered by Jake Carter was going well in third. Black Sheep has now got into the breeze and will be relishing the prospect of fast downwind racing. Arto Linnervuo’s Finnish Xp-44 Xtra-Staerk is just 13 miles behind Black Sheep and with a longer waterline length will be hoping to catch Black Sheep on the reach southwest. 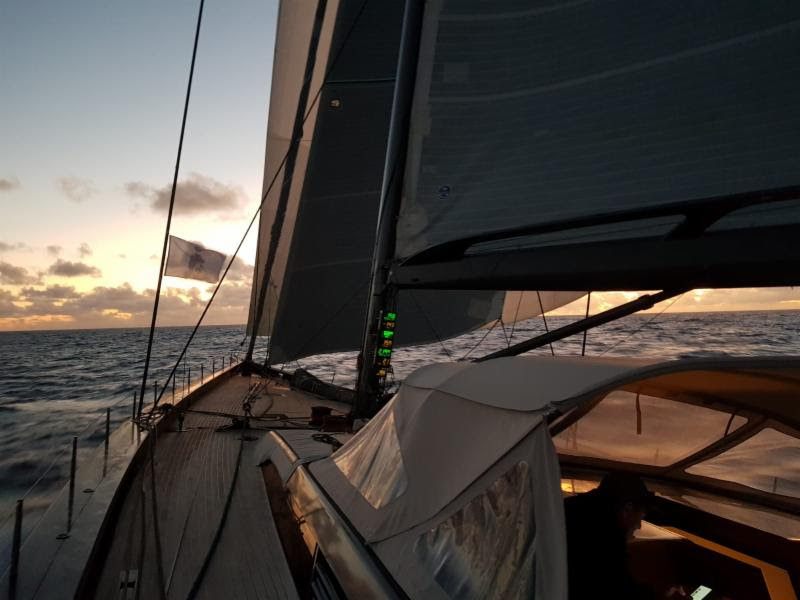 Benedikt Clauberg’s First 47.7 Kali, skippered by Corinne Wirth is the most easterly yacht of the fleet and made good progress during the night. 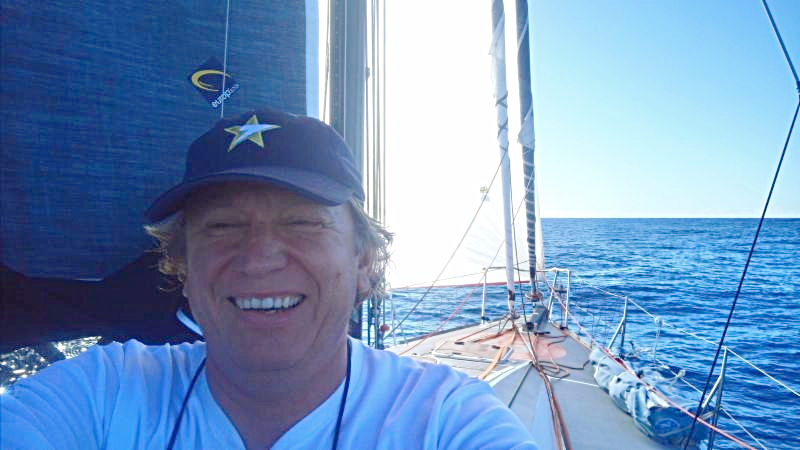 At 0800 UTC in the Class40 Division, Ari Kaensaekoski reported in from Sirius to say all is well on board despite falling 40 miles behind the latest generation of Class40s in the shape of Catherine Pourre’s Eärendil, and Henrik Bergesen’s Hydra. The leading Class40s are engaged in a terrific battle, with the lead swapping on numerous occasions. Pip Hare reported in on day three from Hydra: “On the second day, Eärendil put in a good tactic to get seven miles ahead of us at Tenerife. As we came down the coast of El Hierro we had a terrific gybing duel and we managed to stay in a band of breeze to take the lead.” As the two leading Class40s made headway into the trades, Eärendil regained the lead over Hydra, but the two Class40s are still locked in their fascinating duel.